Necklaces and Pendants There are 5 products. This twisted bar necklace is perfect for the minimalist for any occasion. This silver chain necklace has a unique design. 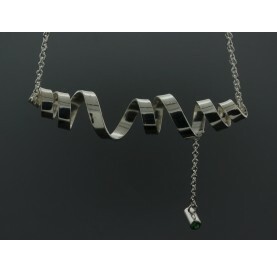 Sterling silver necklace with small tube accents set with cubic zirconia on both sides. This necklace has a unique design that's simple yet very feminine.